The Department gave a brief background of the history of the Construction Management Unit (CMU), saying that since the unit’s inception the approach had always been labour intensive until after 1998 when personnel on a contract basis was allowed. The presentation spoke to the staffing of the five CMU regions and their number of contracted staff as well as the demographics of the unit and its transformation efforts. The presentation then spoke to possible business sub-unit options because the total budget allocation to the unit had decreased while the number of projects had increased. The Department gave an overview of the current projects. It then spoke to the assets of the CMU, the acquisition cost and the net book value for the yellow and white fleet, stationary machines, equipment, houses and offices. The Department said that construction equipment was verified twice a year and that the last forensic audit done by PWC yielded a very good result with minor findings. A list of suppliers providing services for the 2017/2018 financial year and the amounts paid to them was provided as an appendix. Members asked about the resettled communities of the Nandoni dam area because the Committee went there on an oversight visit and saw how houses had become derelict. What was the capacity of the CMU? Did the CMU have an account? How were the unit’s monies accounted for? What informed the transformation agenda of the unit and was there a plan in place? How did the unit report to the directorate of NWRI? Members wanted the unit to discuss the Clanwilliam dam issue. Who were the suppliers? What assurances were there that suppliers were previously disadvantaged individuals? Where was the asset register for the housing being built? Members said the CMU was given the Clanwilliam dam project but then it was taken away from them. Was there a future for the CMU? Members said more had to be done with less money so therefore the Department had to do the construction itself. Members said the unit appeared to do less with more and had overspent its budget and not achieved its targets. Members wanted to know the number of projects for the financial year that were completed compared to the number that had been planned. Members said the organogram was not representative of the population of the country at present. Members said there appeared to be discrepancies in the spreadsheet in the financial allocation for some items. Members said that the Grootdraai single quarters project had been postponed and there was no budget, yet a Service Level Agreement (SLA) been signed. How accessible was the CMU, if the Committee wanted to do oversight? Why were projects postponed and who confirmed the projects? Why was the AG concerned with accuracy of the fleet? What were the PWC audit report findings? Did the CMU have regional offices? Members asked where the masterplan was which was supposed to be received by the Committee that day? Members asked what areas did the Construction North, South and East Units serve? Members said the AG had identified several challenges on the coordination role of infrastructure delivery. How far had the unit come in addressing the challenges? How far was the establishment of the Water Infrastructure Agency and what role would the CMU have in the agency? Members wanted to see the asset register. Members asked what the maintenance plan for Hartbeespoort dam was. Members spoke about the Tsolo dam construction project where the Minister had wanted then Minister Gordhan to approve that the contract be awarded to the Chinese. Members was concerned because the people in the Eastern Cape had been promised the building of this dam and that 6000 jobs would have been created. Members said it appeared that the construction budget requirement might not be the total project cost because other costs escalated the total cost. Was this correct? Was the Department looking at other alternate funding models for projects? Was there benchmarking with BRICS countries which faced similar challenges taking place? Members said a revised water tariff model, where infrastructure use could be factored into the pricing strategy could be another option. Could the Minister give a progress report on the task team. What was the Minister’s view on Overberg municipality that had not responded as to how public funds were being used? Who took ownership of a dam on its completion? Could the Minister investigate Toga dam? Members asked if the Voelvlei dam was being cleaned. In reply to some of the questions, the Minister said they were seeking to do transformation in line with the organisational review of the Department and the NDP. She said the water sector was characterised by uncoordinated incoherence and it was not properly managed. So, the Department was calling for a Water Agency of SA. There was an independent facilitator whose team was looking at what SA had in the form of structures dealing with water. The process had started and it was important that the existing capacity within the three arms of government be utilised. If there was one point of entry with regards to the water sector, then savings could be achieved. The Minister said that the establishment of the Water Agency was trying to bring together the capacity of the state on issues of water and water infrastructure. The Minister said the sustainability of the interventions on the waters of the Hartbeespoort dam was a challenge because the Department of Water Affairs had continuously focussed on the removal of water hyacinth when in fact the problem was upstream where waste water structures of Madibeng municipality were not functioning. Hence Hartbeespoort needed an integrated intervention. There had been communication with the Premiers of the two provinces. The DG had been assigned the task to implement such an integrated intervention. She said the Department had executed 47% of its APP during the most difficult time in SA when there was a drought and yet there had been no outbreak of a water borne disease. R200m was now needed to channel water to the Western Cape, which was not budgeted for but they were a reality and the Department would not let the people of the Western Cape suffer. The Department needed to save the farmers of the Western Cape, even though this was a function of the municipalities. COGTA coordinated disaster management and should support and oversee local government. The Department wanted an MOU with COGTA and Treasury to bind them in terms of the delivery of the interventions. Ms Nomvula Mokonyane, requested the Committee to develop a quarterly meeting program for the Department so that it could plan ahead. She said the Construction Management Unit (CMU) was a unit in the National Water Resource Infrastructure (NWRI) which was a branch of the Department of Water and Sanitation (DWS). She said that the absence of a DDG, Ms Zandile Mathe, was a matter under consideration by the Department. Mr Leonardo Manus, Chief Director: Operations and Maintenance within the NWRI, DWS, gave a brief background of the history of the CMU, saying that since the unit’s inception the approach had always been labour intensive. The CMU was previously governed by the Water Act (No.54 of 1956) which had been replaced by the National Water Act (1998), which sought to amend recruitment through Section 76 which allowed the appointment of personnel on a contract basis. The CMU resided within the NWRI Bulk and was mandated to construct new water resources infrastructure to meet industrial, agricultural and domestic bulk water supply requirements and to facilitate economic growth and development, including the rehabilitation and upgrading of existing water supply infrastructure to comply with international dam safety standards. He then spoke to the staffing of the five CMU regions and their number of contracted staff. The number of permanent staff at management level or above was three with one vacancy and the number of contracted staff was 3353, who were all at grade level 12 or below. He then turned to the demographics of the staff complement. In 2008, whites comprised 85% of staff while blacks totalled 9%. In 2016, whites comprised 46% while blacks totalled 45%. There had been a concerted effort to transform the management of the unit to portray the demographics of the country and the transformation is still work in progress. He then spoke to possible business sub-unit options because the total allocation to the unit had decreased while the number of projects had increased. He moved on to give an overview of the current projects. He then spoke to the assets of the CMU, the acquisition cost and the net book value for the yellow and white fleet, stationary machines, equipment, houses and offices. He said that construction equipment was verified twice a year and that the last forensic audit done by PWC yielded a very good result with minor findings. PWC was also satisfied with the verification process. A list of suppliers providing services for the 2017/2018 financial year and the amounts paid to them was provided as an appendix. The suppliers contracted to supply services to the unit were not necessarily confined to a specific project. He said the CMU Have own training centre at Rhoodeplaat but some training was outsourced because of accreditation requirements. Mr Kurt Fortuin Director: Construction Equipment in the directorate of CMU, sDWS, poke to the calculation of the depreciation of assets of the CMU. He said the depreciation was calculated over the lifespan of the item and was a straight-line depreciation. He said the machines were ‘self-insured’. Mr P Chauke (ANC) asked what the capacity of the CMU was. Did the CMU have an account? How were the Unit’s monies accounted for? What informed the transformation agenda of the Unit and was there a plan in place? How did the Unit report to the directorate of National Water Resource Infrastructure? He wanted the unit to discuss the Clanwilliam dam issue. Who were the suppliers? What assurances were there that suppliers were previously disadvantaged individuals? Where was the asset register for the housing being built? Mr L Basson (DA) said the CMU was probably the biggest construction company in SA. He said its use of people compared with their output was alarming and the ratio between workers and projects did not appear to be correct. In 2015 the previous DG had said there would be changes in the CMU. It appeared that the Unit did not know what to do with the people. The CMU was given the Clanwilliam dam project but then it was taken away from the Unit. Was there a future for the CMU? He said more had to be done with less money so therefore the Department had to do the construction itself. The Committee needed to get closure on the future of this unit. Ms T Baker (DA) said the Unit appeared to do less with more and had overspent its budget and not achieved its targets. She wanted to know the number of projects for the financial year that were completed compared to the number that had been planned. She said the organogram was not representative of the population of the country at present. She said there appeared to be discrepancies in the spreadsheet in the financial allocation for some items because they required for example R5m but were allocated R9.4m. She said that the Grootdraai single quarters project had been postponed and there was no budget yet a Service Level Agreement (SLA) been signed. Mr D Mnguni (ANC) asked if the CMU was working independently from the Department. Was the Unit following the equity requirements of Parliament because the demographics of the Unit was not representative of present day South Africa. How would this issue be fast tracked? How accessible was the CMU, if the Committee wanted to do oversight? Why were projects postponed and who confirmed the projects? Why was the AG concerned with accuracy of the fleet? What were the PWC audit report findings? Did the CMU have regional offices? The Chairperson asked where the masterplan was which was supposed to be received by the Committee that day? Mr Dan Matshitisho, Director-General, DWS, said the draft master plan was at ‘zero level’, it was still a rough document. The Chairperson asked what areas did the Construction North, South and East Units serve? He kept hearing of single quarters being built when there had been a move to demolish single quarters. He wanted to know what government’s policy was on the resettlement of communities, because in Nandoni all the community got for their land was a house. He said cost cutting could be achieved if the Department had the correct approach to future projects. Ms Baker said the AG had identified several challenges on the coordination role of infrastructure delivery. How far had the unit come in addressing the challenges? How far was the establishment of the Water Infrastructure Agency and what role would the CMU have in the agency? The Chairperson wanted clarity on what appeared to be discrepancies in some figures on the supplier database spreadsheet. There were entries for entities which were for different amounts yet were on the same date. Regarding Mr Chauke’s and Mr Basson’s questions on what informed transformation. the Minister said they were seeking to do transformation in line with the organisational review of the Department and the NDP. The Minister said the water sector was characterised by uncoordinated incoherence and it was not properly managed. So, the Department was calling for a Water Agency of SA. There was an independent facilitator whose team was looking at what SA had in the form of structures dealing with water. The process had started and it was important that the existing capacity within the three arms of government be utilised. If there was one point of entry with regards to the water sector, then savings could be achieved. In reply to Mr Basson she said it was not right to say that the CMU was the biggest construction organisation in the country. The Department of Public Works and SANRAL were bigger companies than the CMU. On the issue of staffing, it was only people who were from Director level upwards who were considered permanent staff. The figure of having a staff of 3000 was a myth. The 3000 figures were who had been appointed on a contract basis on projects. Mr Manus replied that the AG wanted to verify that the asset was there and did not have concerns prior to them doing the audit. The Department itself did an audit to verify the equipment was actually there. Regarding the question on the ratio and Mr Basson’s statement on efficiencies, he agreed that efficiency could be enhanced. If the CMU had to be graded as a company according to the CIDB grading, then it would be a grade 9 company but it would not be as efficient as those companies. Regarding the question on budget allocations, He said sometimes the budget allocation was less than what was required. This was because of the tariff pricing strategy which considered other factors to make the price feasible and this was why there were discrepancies. On why the budget allocation was more, he said he could not answer at present. Regarding the SLAs, he said that the project had been postponed. If the projects were large then it was signed off by the DDG or higher, but if it was smaller it would be signed off at Chief Director level. Construction needed to plan ahead to do a project therefore agreements were signed to indicate that a project would be done. Only once the budget was allocated could projects be assigned funds and this was done according to priority. The Chairperson asked if any cost benefit analysis had been done by the CMU. Mr Basson said he did not refer to government bodies when he commented on the size of the CMU. He was talking of private companies that had the capability to build dams. Why could the CMU not do the work themselves because he guaranteed that it would be more cost effective. If the PFMA was the problem for them being able to do the work why was that not rectified. He said the Minister’s own report indicated that there were approximately 2000 vacancies. He said that in the case of the Clanwilliam issue, government was still paying the people a total of R2.5m per month because the CMU was appointed to a project but then that appointment was withdrawn. The Department took the decision to stop the project and the project would now cost more. Regarding the question on single quarters, Mr Manus said all assets had a certain lifespan. Some of the houses had asbestos sheeting for walls. Houses were allocated to people who did not have family. The Chairperson said that some of the infrastructure was being vandalised because no one was living in the structures. Mr Manus said that the asset register could be shared with the Committee. The houses were part of the Department’s asset register and not that of the DPW’s asset register. The number of houses that were built was according to the needs to maintain the dam. However, the placements of dams meant families would have to move to an area with no services. So, a family would stay in a town and the staff member would go to the dam for a few days. In their absence, the dam house might be vandalised. The Minister said that the establishment of the Water Agency was trying to bring together the capacity of the state on issues of water and water infrastructure. The contract workers were contracted to work on a project and in the Clanwilliam case the contract workers were not from Clanwilliam, they followed projects around the country. The people of Clanwilliam would still be provided for because there were contractual obligations with the service provider. At the moment, the Clanwilliam tender was in the adjudication stage. She cautioned the Committee not to become an adjudication Committee. She said it was correct to say that the management of the transformation agenda in the Department was improperly managed. The transformation unit had been brought closer to the accounting officer’s office. Regarding the infrastructure issue, there were lessons to be learnt. Modern technology allowed that infrastructure could be built that could be disassembled and moved to another site. She said labourer dwellings should be standardised. Mr Chauke said the Minister had identified the way forward and this should be the next presentation to the Committee, but for now the Committee needed to look at the challenges linked to the Water Act. Regarding compliance with policy, he said there was so much money changing hands in the CMU that there had to be accountability. Therefore there had to be PFMA compliance. He said the issue of empowerment was important. Empowerment was not just awarding a tender based on names because there had to be verification. He wanted to see the asset register. Ms Mashiya Maraka Acting Chief Director in CMU, DWS, said that the CMU met with their clients on the budget allocated to them on issues of cash flow and the construction programme. In the case of the example given, there were still other mechanical and electrical equipment that had been required and these were not directly construction related. Consultation fees were also allocated within the amount because it was not purely construction related. On the question of the regional offices, she said it was not based on the provinces. There were five offices including North, South, and East. the CMU did not have a budget to cover operational expenses. On why the AG was concerned with the verification, Mr Fortuin said that every piece of equipment was ‘touched’ to verify it for asset management purposes and this occurred twice a year. When the AG came, he had asked how it was done and then members from the AG office had gone with them to do the verification. He said if contract management wanted to lease equipment, it checked to see if the lease was substantially below what the unit offered then it could be done. Regarding accountability, he said the accounts were done according to PFMA rules. 20% of the total expenses were on fuel supplies. He said there was oversight on the CMU’s financial activities via the internal audit and the CFO’s office. Ms Maraka said there were three PSPs under RT (national contracts managed by Treasury) contracts namely Minolta, Vodacom and Ubuntu which were used as and when required. The Chairperson said he raised an issue regarding the security firms on the spreadsheet. Ms Maraka said the Department had a national tender, so there would be more than one site that would be reflected. She said Construction South was the Western and Eastern Cape, North was Limpopo and part of Mpumalanga, East was part of Mpumalanga, Standerton and KZN, West was based in Potchefstroom and parts of Mpumalanga, Northern Cape and the North West. The Chairperson asked what the maintenance plan for Hartbeespoort dam was. Mr Galo spoke about the Tsolo dam construction project where the Minister had wanted then Minister Gordhan to approve that the contract be awarded to the Chinese. He was concerned because the people in the Eastern Cape had been promised the building of this dam and that 6000 jobs would have been created. Mr Basson said he had reacted to the Minister based on the AG’s report which had shown that the Department was not aligned to the PFMA and therefore they should become aligned. He wanted to hear the answer on who determined what projects the CMU would get and what was the process to determine this. If the CMU tendered lower than any other tenderer on the Clanwilliam dam tender, would they have gotten to do the work? Ms Baker said it appeared that the construction budget requirement might not be the total project cost because other costs escalated the total cost and she wanted clarity whether this was correct. Was the Department looking at other alternate funding models for projects? Was there benchmarking with BRICS countries which faced similar challenges on funding models they used. She said a revised water tariff model, where infrastructure use could be factored into the pricing strategy could be another option. Could the Minister give a progress report on the task team. 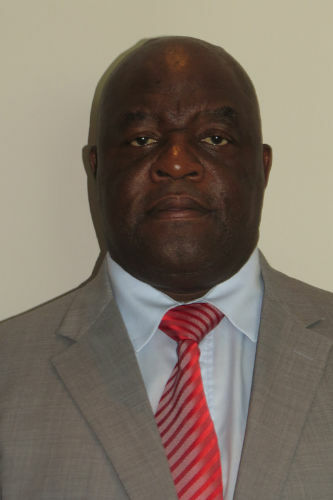 The Chairperson said he had been informed that a report had been received by the Committee on the Hartbeespoort dam maintenance by the Deputy Minister but said the question remained what needed to be addressed and for him it was all about maintenance. Ms M Khawula (EFF) said that while the Minister might speak on issues, the officials of the Department were not doing the work of proving water to communities. She mentioned Gijima Municipality which had no water. What was the Minister’s view on Overberg municipality that had not responded as to how public funds were being used? Black farmers had been allocated land but there was no water and the land was now being dispossessed. Who took ownership of a dam on its completion? Could the Minister investigate Tsoga dam? 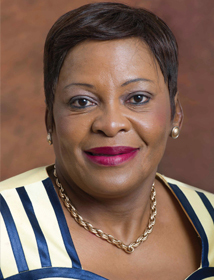 The Minister said the sustainability of the interventions on the waters of the Hartbeespoort dam was a challenge because the Department of Water Affairs had continuously focused on the removal of water hyacinth when in fact the problem was upstream where waste water structures of Madibeng municipality were not functioning. Hence Hartbeespoort needed an integrated intervention. There had been communication with the Premiers of the two provinces. The DG had been assigned the task to implement such an integrated intervention. She said the Department was at the point where it was working on identifying where additional resources would be coming from. The Department had been given authority to explore the security of new funding and TCTA was doing this. In a bilateral with China on a mega project, China had said it would support government in a project and in a bi-national meeting an interest was signed by the Minister of Finance in China on the Umzimvubu dam. She would be meeting with the new Minister of Finance to look at how this interest could be accelerated. One of the requirements was that there be transparency. The extension of the borrowing limit of the TCTA was being considered. The cost of the project would no longer be R3b. A project plan and design had been done. She said the Water Boards also had the authority to seek funding. She said that people with complaints could call 0800 200200 and leave a message so it could be followed up. She said she would be contacting the Chairperson to indicate what interventions she had in mind on the Overberg issue. She said the Department had executed 47% of its APP during the most difficult time in SA when there was a drought and yet there had been no outbreak of a water borne disease. R200m was now needed to channel water to the Western Cape, which was not budgeted for but there was a reality and the Department would not let the people of the Western Cape suffer. The Department needed to save the farmers of the Western Cape, even though this was a function of the municipalities. COGTA coordinated disaster management and should support and oversee local government. The Department wanted an MOU with COGTA and Treasury to bind them in terms of the delivery of the interventions. Ms Khawula said the money that was allocated to COGTA was not used properly. Mr Basson asked if the Voelvlei dam was being cleaned. The Chairperson said that a meeting needed to be arranged which included COGTA and the Department on the issue of dam maintenance. The Minister said she supported the Chairperson’s push to promote maintenance and reminded everyone that that issue was a key component of the municipal Back to Basics campaign, where at least 7% was set aside for maintenance. She proposed that the meeting with the Committee be done in three months time so that the Department could do a comprehensive report. She said Voelvlei dam was a separate intervention that the Department was attending to. Theewaterskloof had been an emergency intervention. She proposed that a city be identified where collaboration could be piloted so that problems in how government collaborated could be identified and ironed out. On whether the CMU would be given a tender, Mr Matshitisho said the process of deciding who would get a tender was not just on price, consideration was also given to other factors. On collaborative efforts between the Department and COGTA, he said that Hartbeespoort was affected by the poor effluent containing E. coli that went into the dam and COGTA did not have the money to address this. He had asked COGTA if there was no way to be found utilising MIG funds. In the short term, the Department had transferred R4m to the Department of Environmental Affairs, but a medium to long term solution was needed. Ms Khawula said that monies should not be allocated to municipalities as they were totally dysfunctional.